My brother would be so proud of me, I found a butcher! In this day in age of a world of superstores that sell everything from t-shirts, tv's and and apples, you don't come across many butchers that work in the store. Yes, they have a deli counter, where someone was trained to slice meat, but they aren't a butcher. And if those super stores have a butcher, they are not at the counter, they are behind the scenes just butchering meat, not talking with customers. These super stores have definitely put a strain on small business. I know I am guilty for shopping a lot at Superstore and Costco because of the convenience and cost. We certainly get great deals on some of our everyday items. When I wrote one of my first tribute posts in memory of my brother Dan, I didn't know it yet, but I met my butcher Dave. Dave is the owner of Ben's Meat & Deli. I walked in looking for a tenderloin to make a gluten free beef wellington. I couldn't find a cut anywhere. 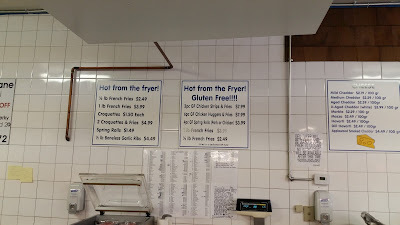 Until I walked into Ben's Meat, and met Dave and his family. Dave is Dutch, and proud of it! Dave has Celiac Disease, just like my wife, and has tonnes of extra gluten free goodies at his shop, which is great for me Gluten Free Edmonton blog. Every time I go to Ben's Meats on a Saturday the place is jam packed and his family is working hard getting orders out. But that doesn't stop Dave from walking with a customer around the shop talking about all the amazing stuff his carries, or some of the deals he has. Or heck, even taking in suggestions from customers. As I suggested he should sell his smoked brisket more often, and he has, and sells out pretty quickly when he does! If Dan were still here today, I would have loved to take him to meet Dave, they would have got along just fine, and I'm sure talk food all day long! Dave is full of great tips on food preparation. 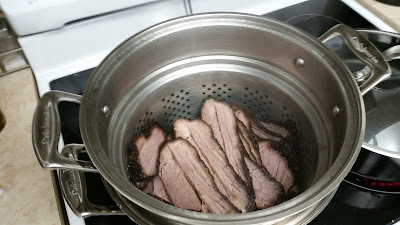 One of which I just shared on Facebook about the best way to cut and warm up a brisket. 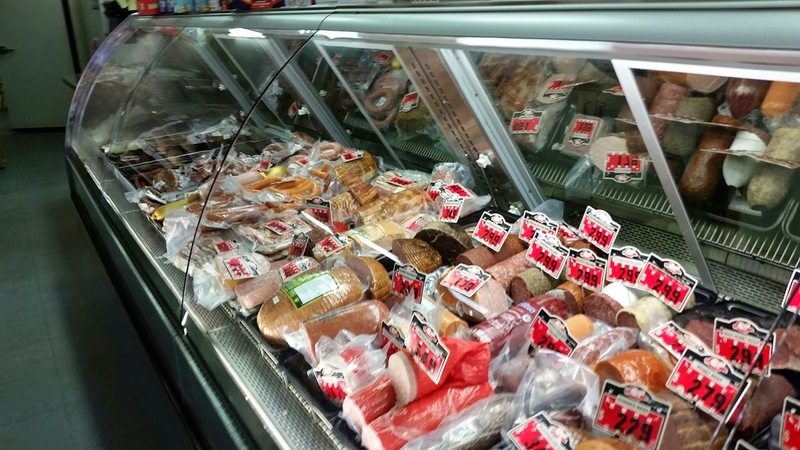 If you live in Edmonton, or ever visit, be sure to visit Dave at Ben's Meats! You won't regret it.